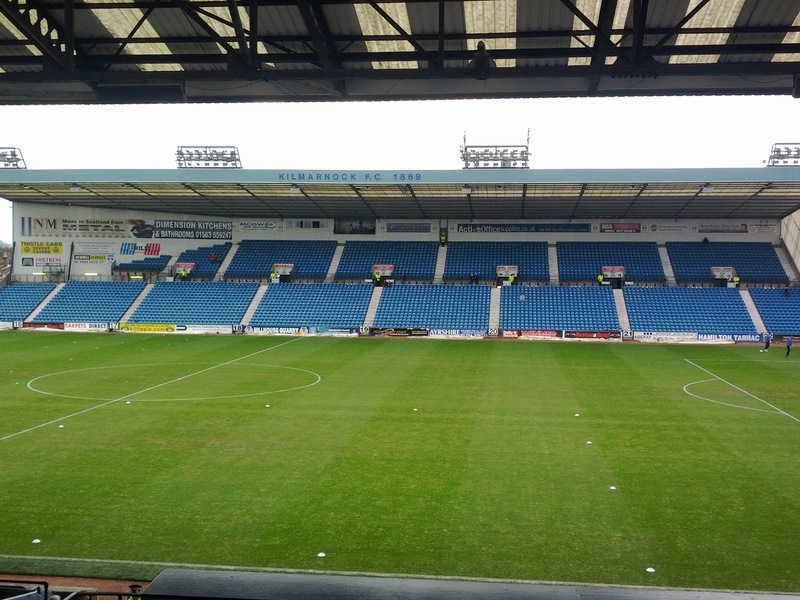 Founded in 1869, Kilmarnock are currently the oldest club in the SPL and have played at their current Rugby Park home since 1899. 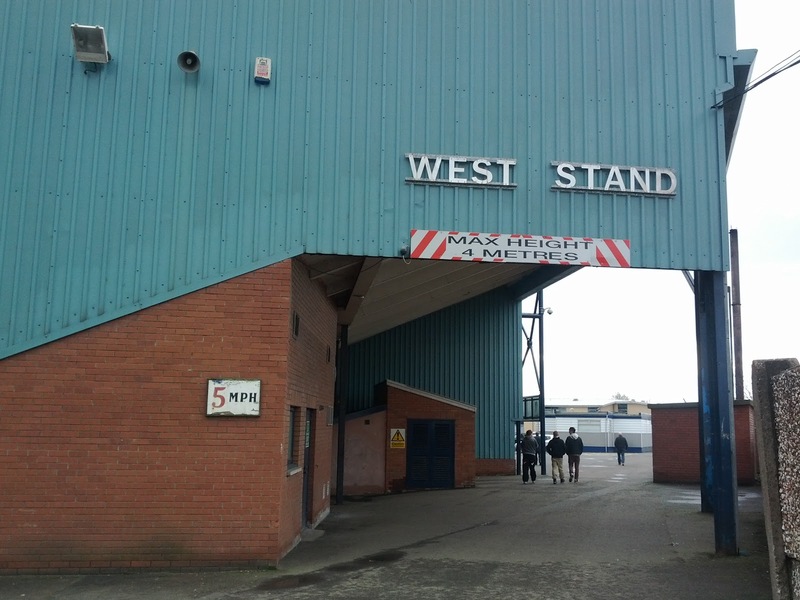 Interestingly, the previous 30 years saw Kilmarnock play at three other grounds – The Grange, Holm Quarry and Ward’s Park all also hosted games. 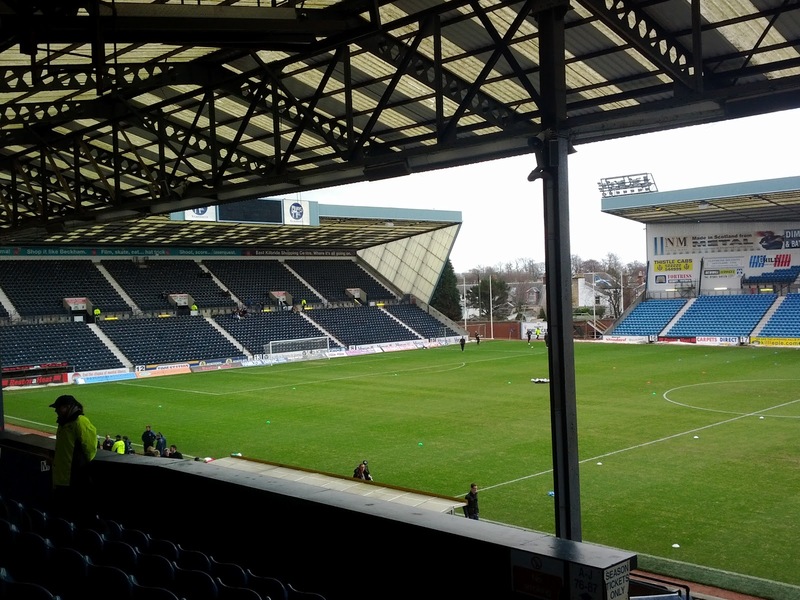 In 1877 the club moved to Rugby Park. Confused? Don’t be! This was not the current stadium but one situated close by near South Hamilton Street and was shared by cricket and rugby teams – hence the ground’s name today. 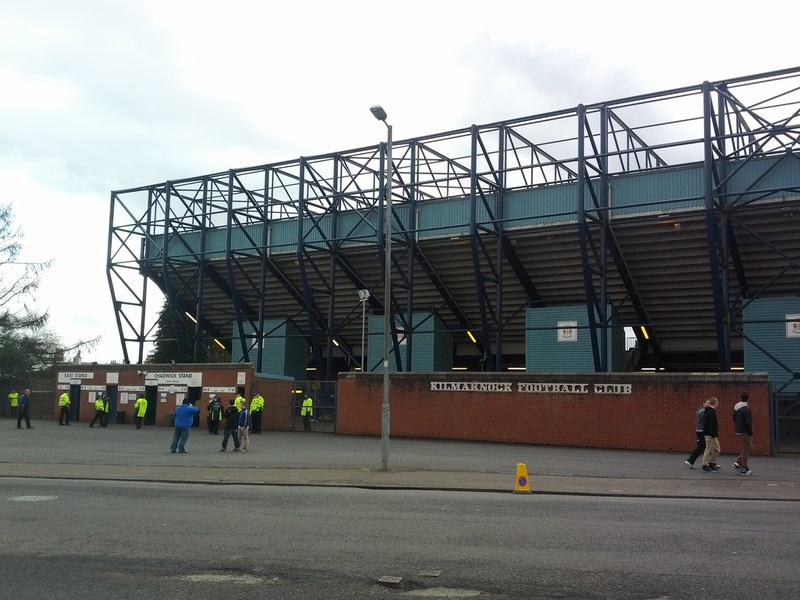 My first impressions when approaching the ground were “hmmm….rusty” and I think it’s a fair summary of the exterior to Rugby Park which does look extremely worn, although quite impressive at the same time. 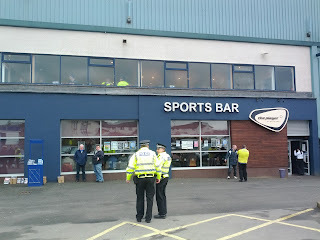 Outside the stadium (well, attached to the stadium) is a bar, the “Sports Bar”, which is a nice touch and a matchday treat for home fans. 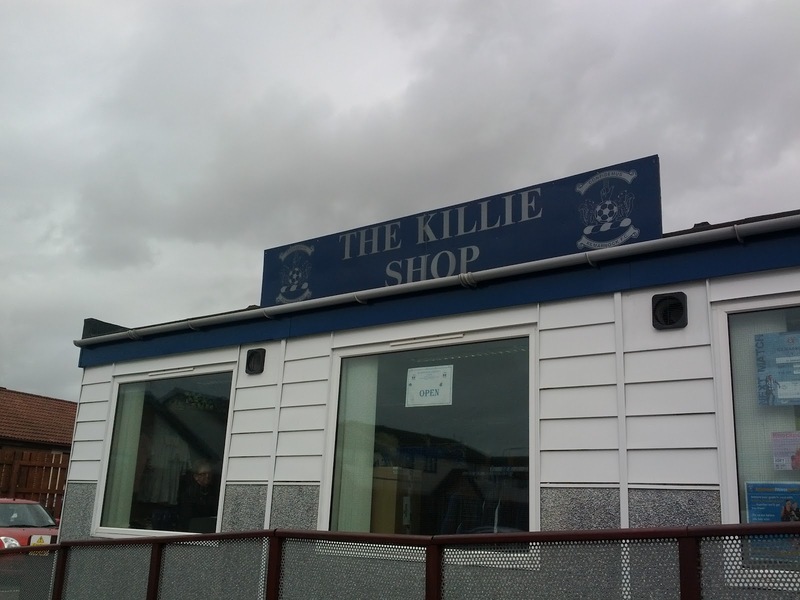 Also outside the West Stand is the “Killie Shop” which is a portacabin filled with the standard tat. On entering the ground, it was immediately evident that Kilmarnock have a zero tolerance policy towards people fainting. No exceptions to the rule. 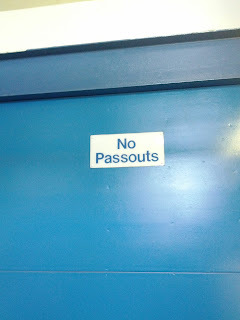 Passing out is simply not allowed at Rugby Park. As for the stands themselves, they’re really very nice. 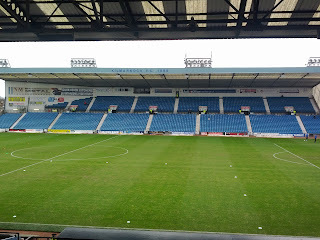 The East Stand, which houses home fans, is the biggest of the Rugby Park stands. 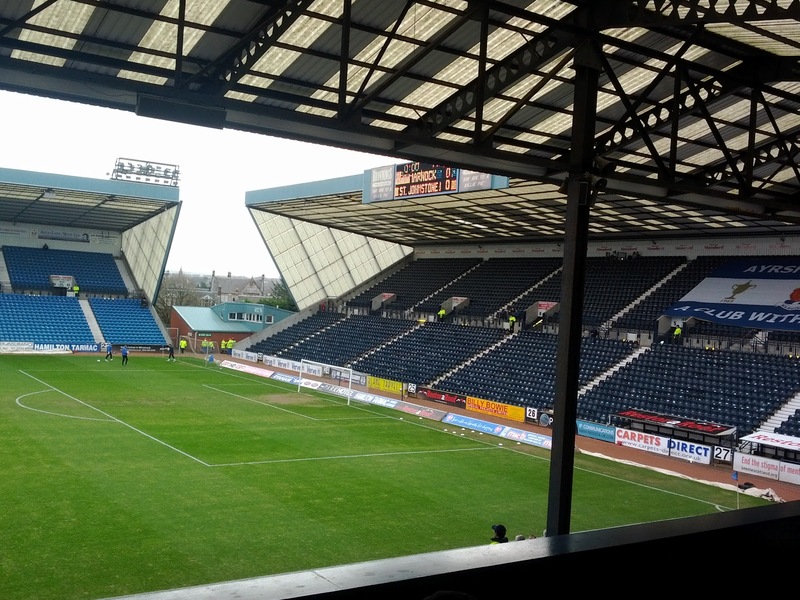 The Chadwick houses away supporters, with the Moffat Stand and Main Stands holding the rest of the home supporters. I of course, sat in the Main Stand which was reasonably comfortable which was bit bizarre in that there were masses of quite unnecessary doors and wooden floors under your feet, despite the “modern” plastic seating. All round though, it was fine. Not a lot to be enthused about and scored accordingly. 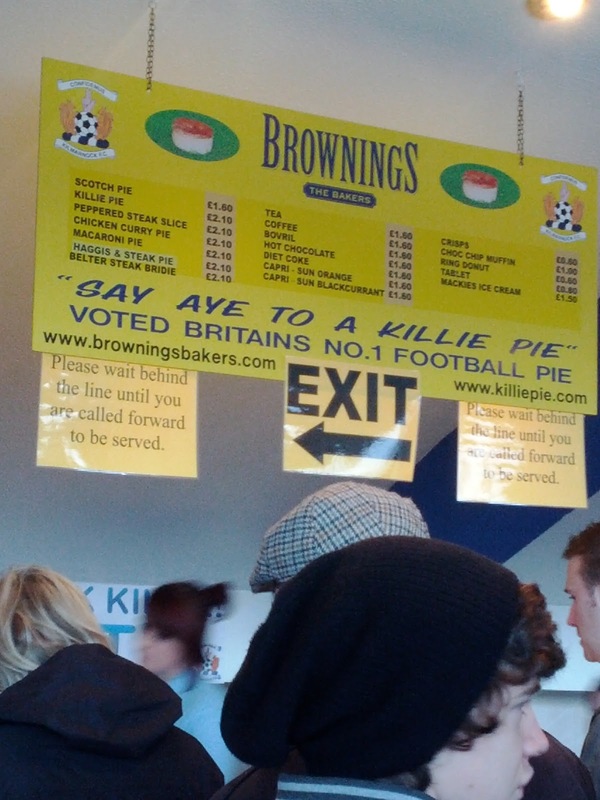 In terms of the catering in Kilmarnock, nobody will be surprised to hear that the “Killie Pie” was absolutely tremendous. Naturally they’ve scored highly on quality. On price? Breaking the £3.50 barrier is never a good thing. Pie and a tea for £3.70. I liked the properly weird way in which you buy your catering though. Forget the standard open plan catering stalls you get at most grounds. At Rugby Park (in the Main Stand anyway) you need to go through a crazy little door before being met by barriers and a McDonalds style desk with what seemed like a hundred staff! 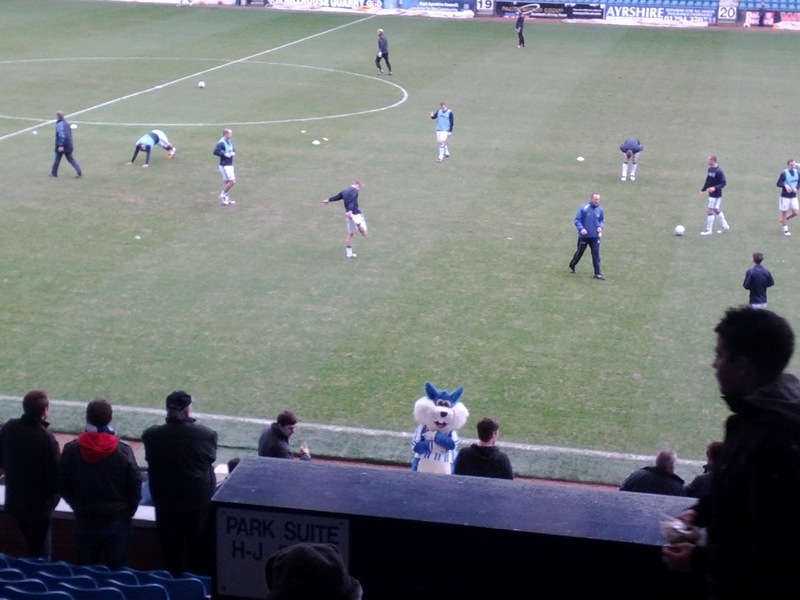 When discussing the Killie fans, I guess I should start with their freakishly large squirrel mascot. This big, blue monster goes by the name of “Nutz”. He didn’t really seem to do very much. Appearing for about 10 mins before the game, walking round the pitch without really interacting with the fans and even when on the pitch, not really trying to gee up the supporters. As with Perth last week, some of these guys really need to go to one of Sammy the Tammy’s master classes on how to be a mascot! 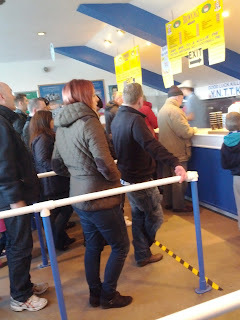 Other than that, I really didn’t enjoy being in with the Killie punters. It could be that I just sat with a particularly bad lot or caught a good lot on a bad day, but they were extremely unpleasant at times. One guy behind me was, well, unbelievably offensive in some of the ways he was talking of Francisco Sandaza – obviously ignoring some of the campaigns that have been widespread in Scottish football – with others generally full of anger and irritation towards their team, each other and the opposition. Overall, they haven’t scored well at all. 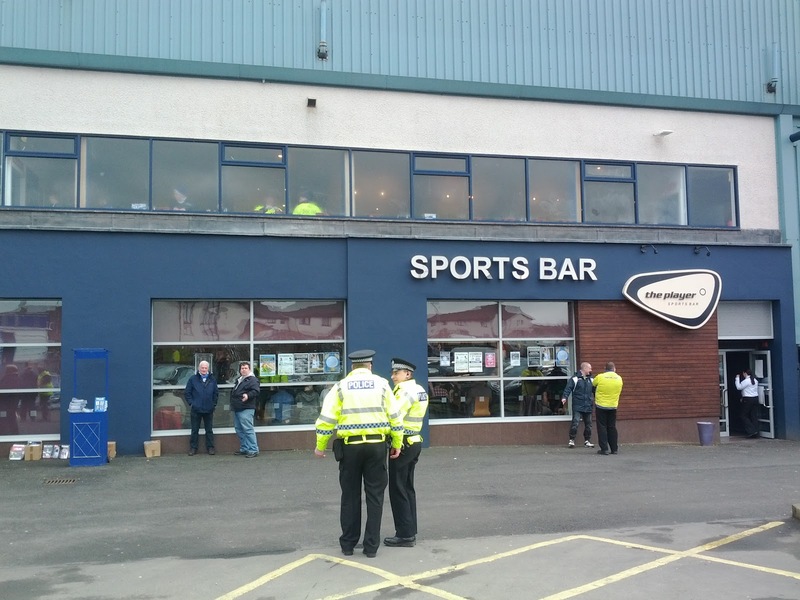 As I said it could be that I just caught them on an off day but if this match is an indication of the wider Rugby Park populace, it’d be abhorrent to attend each week. Kenny Shiels has been full of chat this season about Kilmarnock’s brand of football, their gifted players, their passing style and their dynamism. Well, Mr Shiels, I’ve seen Kilmarnock twice this season – once at Hibs and last Saturday – and I can tell you straight up….you’re full of rubbish if that’s what you consider beautiful football. At times during this game Kilmarnock were so unbelievably poor I couldn’t believe they were an SPL side. St Johnstone should have won this match, without doubt. A bit more composure in the final pass and the Perth side would’ve scored at least once and taken control of the game from an early stage. Killie were unable to string more than a couple of passes together and, to a man, they had shockers. Even the normally gifted Dean Shiels had a poor game and as for James Dayton – seriously? Not for me. Killie did manage to win a spot kick which shouldn’t have actually been given due to a foul on Liam Craig in the build up to the penalty award, but even then…a shocking effort from Dean Shiels was easily saved by Mannus in between the St Johnstone sticks. I normally do a mention of a few players. At least one. However I honestly can’t pick a stand out for Kilmarnock. Really poor indeed. Again it may be that I caught them on a bad day, but I must have caught them on two bad days in reasonably quick succession. Not impressed with Killie I’m afraid. I guess this makes my value for money judgement quite easy. It’s terrible value in my opinion. Especially for the £22 you need to pay to get into Rugby Park. The food is outstanding. Of that there is no doubt. But you can pick a Killie pie up at the bakery. It adds nothing to the matchday experience. The stadium is quite nice, but weirdly empty. I don’t know why Killie don’t just consolidate fans in one or two stands? The fans themselves weren’t pleasant to be around and the footie was really poor. Unsurprisingly, Kilmarnock now find themselves well and truly at the bottom of the Ode to the Wee Red Book Best Supporter’s Experience League Table.